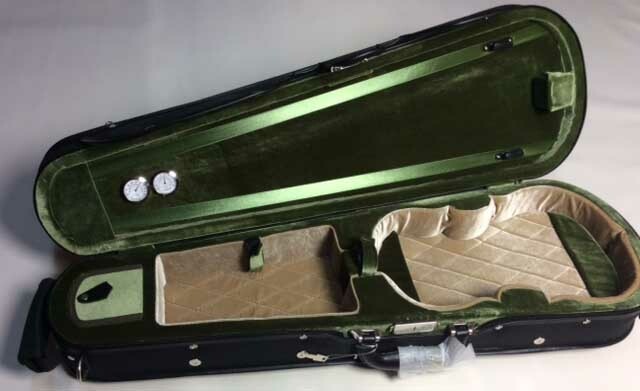 Violin/1 Robust Shaped violin case de lux. Weight 1.8kg. Two bow holders, one pocket for rosin etc.Two shoulder straps. Two handles. Hygrometer & temp gauge. 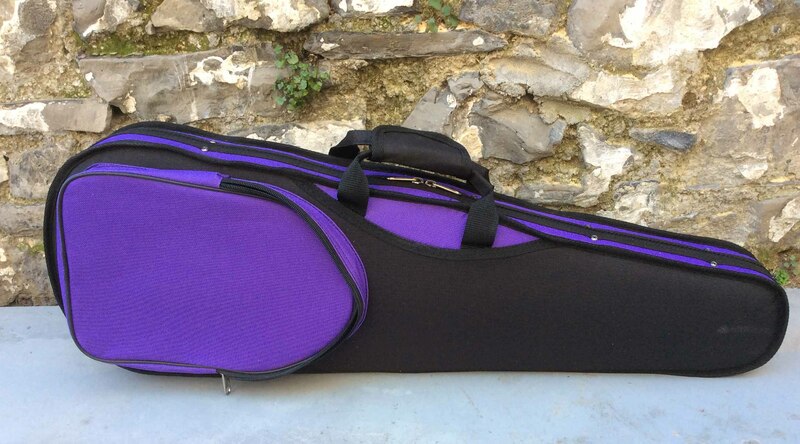 Music pocket outside € 155.00 In stock "yes"
Violin/2 D Shaped violin case. Weight 1.8kg. Two bow holders, two pocket for rosin etc.Two shoulder straps. Two handles. Music pocket outside € 145.00 In stock "yes"
€ 125.00....Click on image to enlarge. Blue/black with grey inside. in stock "yes"
The bow joins together just like putting a fishing rod together. The short piece of the bow can be stored in the front pocket. Two shoulder straps.Case & bow € 300.00....Click on image to enlarge. 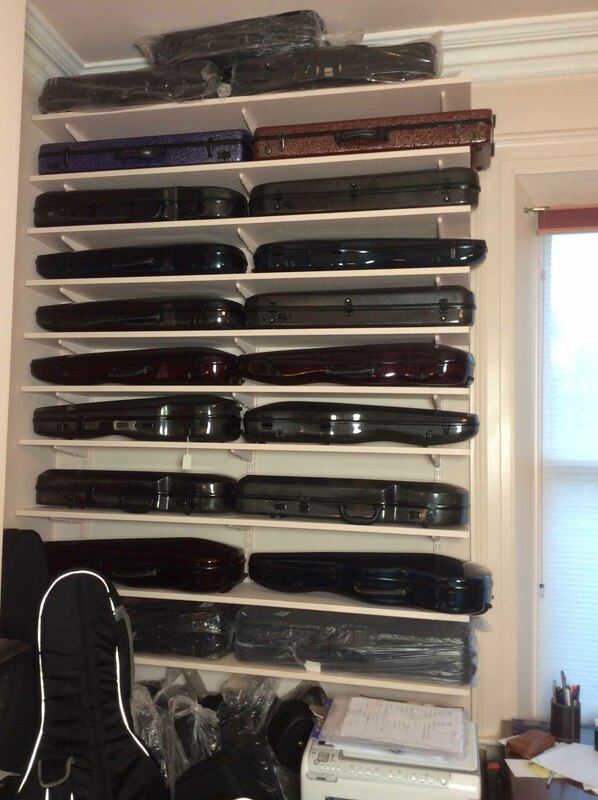 Black only in stock "yes"
Violin/5 Fiber glass shaped violin case. Two bow holders, one pocket for rosin & velcro strap for shoulderest. Two shoulder straps. € 160.00.......................................Click on image to enlarge. Black and white stock "yes"
Violin/6 Carbon fiber oblong violin case. Robust and light weight 2.24kg. Floral pattern in Red/ silver or blue. Two bow holders, one large pocket for rosin etc. Two shoulder straps. 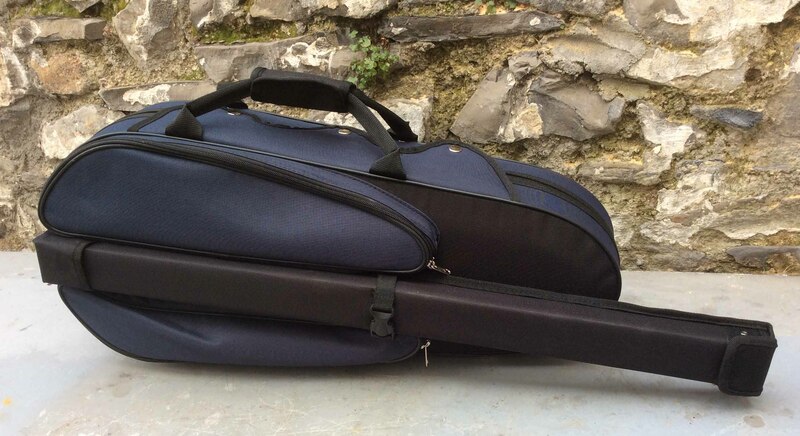 € 425.00 Blue & Red In stock "yes"
Violin/7 Carbon fiber shaped violin case. Light weight 1.645kg. Two bow holders, one pocket for rosin etc. Two shoulder straps. 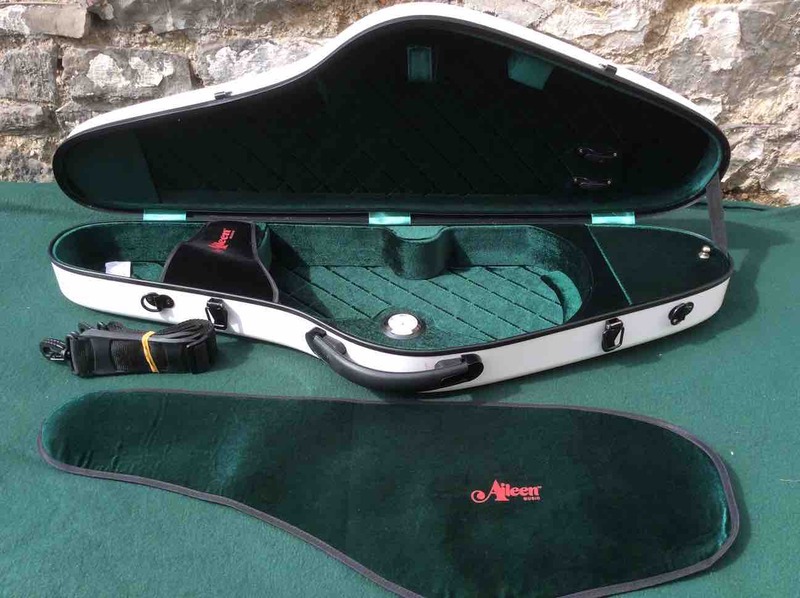 Two locking clasps.€ 300.00 In stock "yes"
Violin/8 Pedi 8300 violin case. For specifications click on image € 375.00.......................................Click on image to enlarge. in stock "yes"
€ 45.00 In stock "yes"
Large music pocket on outside of lid. three compartments inside. four bow holders and string tube.Blanket, two shoulder straps. Weight kg 3.2 € 165.00 In stock "yes"
Three bow holders and string tube.Blanket. Robust. Built in hygrometer. 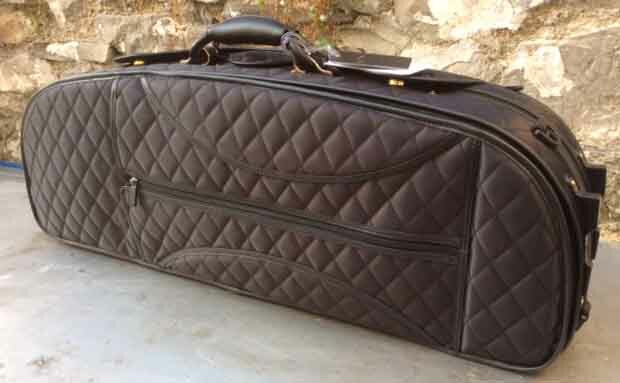 € 150.00 In stock "yes"
Cello/12 Cello case Carbon fiber + titanium weave matt black.